Imagine this scenario. You walk into the data storage room at your business to change out a tape drive on your aged tape drives. You insert the tape and start the machine, but instead you hear a strange noise….. the tape has jammed and is no longer feeding but the head is still spinning….in a panic you hit the stop button. Now what? We all know there are things that can go wrong with tape drives. Sometimes they’re not cleaned often enough and dust, media particles, and other contaminants could corrupt the drive. Maybe constant use and the vibrations have caused the read/write head to become misaligned. Maybe its head life has simply expired. Regardless of the problem, you are faced with a choice. You could buy a new system which would cost thousands upon thousands of dollars…..or you can trust CPU Inc.’s professionally trained and highly skilled technicians to repair your tape drives. We apply a unique and effective method in which we keep all parts and supplies on site which translates into one of the fastest turnaround rates in the industry. In most cases, we are able to have your tape drive repaired and on its way back to you the same day it’s received. As new technologies continue to unveil in the data storage market, many businesses are asking themselves the nagging questions, “Should we upgrade our tape based storage system to disk or a hard drive solution? Would it save us enough money in the long run to pay more now for an upgrade?” These are important questions that should be addressed with much consideration and care. There is a common tendency for each of us as humans to want to be impulsive in obtaining the newest and latest of everything. This passion does not exclude the desire for companies to be up to date with new storage devices. Just because a fancily designed calculator says you’re going to save “X” amount of money per year by switching to a new system, doesn’t mean it is necessarily the best way to go for each person or business. These guys are, of course, trying to sell their product just like the rest of us and if it takes a money saving calculator to convince some than that is what they are going to provide. There are however, many criteria that should be considered when deciding whether or not to upgrade your storage solution. One obvious aspect is the cost of upgrade. A completely new disk based backup solution for an average sized company is going to cost upwards of $20,000. In the end it may save you enough money to compensate for the high upfront cost but it still boils down to whether or not you have that kind of dispensable cash in your porcelain pig. Maybe you have one tape drive that needs to be replaced while the rest of your system is in tact and working fine. In this case, perhaps purchasing a newly refurbished IBM 3590 E11 would be sufficient and would save you thousands of dollars without sacrificing valuable downtime required to order in a whole new system. That leads to another aspect to consider which is the time it will take to set up a new disk based backup system. A good system should only take minutes to setup and begin working properly. If it needs anything more than an IP address, a system name, and the creation of one or more destination NAS shares to get online, then it is too complex. Also, once installed, the system should require almost no on-going management. It should worry about capacity, backup verification, and simply alert you when something needs attention. If the new system doesn’t line up with any of these criteria than it is probably not worth the hassle of upgrading from your old system. As with any big decision in life, you should talk with an expert on data storage before making any rash choices. Our representatives at CPUInc are highly qualified and will make absolutely sure you get exactly the right product tailored to your specific needs. We can help you upgrade to the newest disk-based backup solution with byte-level data de-duplication or help maintain your previous tape drives with affordable refurbished models from all the major brands. Contact us today for a free consultation and to find out more about our products and services. Dell is looking to beef up it’s storage features on its products and the debate is hot as to which company Dell should strive to acquire in an attempt to do this. A couple of different names fostering reputations in the storage department are CommVault, Acronis, BakBone and DataCore. All of these could offer Dell the benefit of owning a storage-focused software vendor. Dell hopes that an acquisition of this type is just what it needs to restore and maintain its growth that it has been historically known for. As of now, CommVault seems to be in the forefront of the talk. Meanwhile, EMC and NetApp are engaged in a war in striving to obtain the data deduplication leader Data Domain. Because these, and many other competitors, seem to be gaining an edge on Dell, it is in their best interest to dive into their deep pockets and make a move such as the one they are trying for here with CommVault. There is an issue with the deal though that could potentially arise and that is in regards to the software required to run CommVault’s dedupe technology. It only works with CommVaults Simpana software. Also, if Dell were to purchase CommVault, it would likely hurt its relationship with Symantec. Severing these type of relationships in business can prove quite costly in the long run so Dell needs to be careful with its choice in the matter. Another possible storage provider that Dell is looking into is a smaller company in San Diego called Bakbone. This would be an easier target to shoot at due to their size and could probably save some of the big relationship issues associated with acquiring CommVault. However, Dell has the money and a bigger buy out could be just what they need to climb out of the valley they’ve been in. At any rate, the debate continues and only time will tell what the honchos over at Dell will do. For a more complete reading of the story, check out the article on Channel Web. Many businesses and individuals have made the transition from tape drives to other (newer) systems of data storage and backup. It is not as though the need for tape is no longer there as it definitely is. Tape is still a cheaper form of backup, especially if you are already using a tape based system. Upgrading to a newer system means completely throwing out your old tape-based systems and purchasing brand new disk or hard drive systems that are quite costly. However, many looking to backup data, especially video data, might prefer the option of being able to back it up on devices other than tape. Firestreamer is a good software that has been around for a while that makes your desired storage device appear as a regular tape drive to other applications running on your computer so that you can use the powerful Windows Backup Utility (NTBackup) to backup and restore your files and folders to and from your device. The latest version of the software (Firestreamer Virtual Tape Library 4.0) was just released and is available for a free 30 day trial download on Cristalink’s site. They say that it is completely redesigned from the older version and can support up to 8 virtual tape libraries with up to 255 tape drives and 60,000 storage slots per library. How it works is that it seemlessly integrates with the existing tape-based backup software and enables it to access a wide range of non-tape based storage media. This obviously makes it possible for long-term and off-site retention of data without the need for tape drives. They boast that Firestreamer operates on all 32 and 64 bit editions of Microsoft Windows Server 2003 and 2008, and is compatible with Microsoft System Center Data Protection Manager. We know it may seem like we’re over doing it with all the updates on the Overland (Adaptec) Snap Server stuff. It seems like that’s all we have been writing about for the past few weeks now. Furthermore, we have only written three posts in three weeks so it also may feel like we have been slacking off in our blog writing. We assure you there is a good reason for this. The reason is that we have been spending the majority of our time building up our new product pages for our Overland (Adaptec) Snap Server product line. Just today our web developers finished three more product pages for the Snap Server 520, the Snap Server 620, and Overland’s newest in this line the Snap Server 650. Soon to come will be two new product pages for the Overland Snap Expansion S50 and the Overland SnapGuardianOS operating system derived from Linux. For each of these new pages, these are obviously the first drafts so we invite you to take a look and read through them. We accept the fact that there may be mistakes, typos, or inconsistencies. For this reason, we encourage your feedback and opinions on how we can better optimize these and any of our product pages to provide our customers with the most accurate and important information regarding our products and services. And, as always, if you’d like more information than you see here about our Snape Servers you need only fill out the request quote form to the right or on the linked page. Regrettably it has taken who knows how many months of online presence for us to finally realize we hadn’t created a product page for one of our most popular items. We have been selling Snap Servers from Adaptec and now Overland for a number of years. Thankfully, we have finally listed the names and specifications of each of our offered Snap Servers on our new product page viewable by clicking on the text link above. Here you’ll find the best NAS computer appliance to fit your company’s needs for sharing backup files with other devices on a network. We apologize that the page isn’t much to look at for now. there are a few missing images. For the most part the snap servers do all look the same with the exception of the Overland Snap Server 210. This particular model has a more “box-like” look and is designed to sit atop a table or desk. On the actual page you can view a tidbit of each of the Overland models. We hope to soon have a full page for each of the models but for now you can view the particulars of each by clicking on the “full product specifications” located at the bottom of each model’s snippet of info. This will take you to a pdf snapshot of that particular model with the complete specs from the maker of the Snap Server. For additional information on our Overland collection of Snap Servers please fill out the “quick quote request from” to the right or visit our request quote page. We’re going to be upfront with everyone at this point. This is the fourth post here and we still haven’t properly introduced ourselves. For those of you who haven’t noticed yet, we are a tape drive “business”. Yes, we are a business! We SELL tape drives. Our goal is to make money doing what we do best. What we do best is provide companies (small and large) with quality tape drives and storage solutions that best suite their needs. As a people, when we spend money on a product we want that product to be the best possible solution for the task it is designed to perform. So it is with tape drives. We realize that you want the best solution for what you’re paying. We also understand that people are generally more comfortable buying from a person or dealer who is credible which entails having substantial knowledge about the product(s) he’s selling. At Computer Peripherals Unlimited, we want to be that person for you. We want to offer you, not just quality tape drives and storage solutions, but also a place to come to for advice, information, and updates on the industry. This in mind, we encourage your feedback. Your comments on all posts are accepted with open arms as your ideas can assist us, and our other readers, in understanding more about the topics presented here. One of the main purposes of the internet is to enable us to connect with the right person/industry at any given time. That right person or industry depends on each person’s own need at any given time. We want to be that person for you. If you’re reading this right now it’s because you’re interested in tape drives, disk backup, tape repair, or some other related topic. We don’t want you to be disappointed by not finding what you’re looking for. If by chance you don’t find it, as said before, let us know and we’ll be sure to rectify the situation as soon as possible. Now, on to the topic of the post. Our last entry talked about LTO tape drives, what they are, when they were developed, by which companies were they developed, and what are the benefits of using tape instead of say disk or hard-drive based backups. Now we want to talk about some specific models of LTO for each generation. From each of the four generations (lto1, lto2, lto3, and lto4), you’ll find unique features that distinguish one from the other. Additionally, you’ll also find that the characteristics of one brand of lto3 might differ from another brand of the same generation. Here we will pick one system from each of the 4 generations to present along with their unique features and capabilities. You can view our full product list of LTO tape drives by clicking on the link provided. Newer versions of the IBM T200 may support Sun Solaris 2.6 or Solaris7 and HP-UX Version 11.0 as well. It’s always hard for a younger brother to live up to the accomplishments of his elders who’ve come before. In sports, individuals such as Eli Manning, Robin Lopez, and Serena Williams come to mind. Here we have the IBM T400 LTO2 trying to live up to its older brother, the T200 LTO1. It was difficult for IBM as they set the bar fairly high with the first generation models . However, they rose to the challenge and added some super enhanced features in the new model. A few of these enhancements include Digital Speed Matching(DSM), a 64 MB buffer which works with DSM to minimize the impact of data rate fluctuations, implementation of an improved LTO data compression(SLDC) algorithm, Partial Response Maximum Likelihood(PRML), Reel Motor enhancements, and smart power management to help your company stay green and cut power costs. For all intents and purposes the T400 LTO2 definitely exceeded all expectations. 2005 marked the year of the worms for LTO. The new LTO3s possessed Write Once Read Many capabilities and the HP960 -LTO3 is the best in its class for customer experience with it’s second to none manageability tools, diagnostics tools and WORM support. It was designed for SAN automation which allows library configuration of World Wide Names to allow hot-swap operation. This third generation LTO offers businesses the opportunity to reduce costs by providing greater storage consolidation and an unprecedented ROI by reducing the number of required data cartridges. It is also 100% RoHS compliant. Another great characteristic of the HP960-LTO3 is that it can continuously and dynamically adjust its speed to match the speed of your host or network. This is called Data Rate Matching. For a full spec list of the HP960 you can visit our page dedicated to this product provided in the link above. This baby is the head honcho of the LTO drives. The latest generation LTO4 from IBM, TS1040 is lightening fast and can store twice as much data as the LTO3 models. The transfer rate capability is a stellar 120MB/sec. In addition to its speed and increased storage capacity, an added benefit is that it can read AND write tapes from the earlier LTO2 and LTO3 models. So theres’ no need to buy additional tapes for your new LTO4 drive provided you have disposable tapes from your existing drives. One minor drawback to the TS1040 is that support for the encryption function requires some microcode firmware that is your responsibility to load, configure, and maintain on the TS3500 Tape Library. However, once loaded and configured, this support is quite beneficial in that it gives you a flexible tape data encryption solution that supports encryption and key management across many different environments. The LTOs listed here are our picks for quality, durability, speed, and performance in each of the four generations of linear tape drives. We recognize there are others not listed here that offer similar features and capabilites. Ultimately, your choice of system will depend upon your company’s specific needs, budget, and goals. We hope you were able to find value in the information provided here. We’re happy to answer any questions you may have in regards to these or any of the products on our site. Please fill free to fill out our quote form in the sidebar or on the request quote page and we will respond to your question or inquiry as soon as possible. We would also encourage you to sign up for our blog feed to receive up to date information on the world of tape drives as we continue to bring it forth. LTO (Linear Tape-open) drives have been around since the early 90’s. They were first developed as an open standard or “open source” form of other tape formats that existed. These other tape formats were controlled by Quantum and Sony at the time. The companies that saved the day are IBM, HP, and Seagate who ventured on creating a more open form of tape drive that would be affordable and still possess the storage capabilities of other competing formats. The first LTO was released in 2000 and could hold 100GB of data in one cartridge. The most recent, the LTO-4, was released in 2007 and can hold up to 800GB. Its predecessor, LTO-3, was released in 2005 offering 400GB of native data capacity in addition to its new WORM capabilities. Throughout the LTO generations, a common theme has presented itself over and over again. That theme can best be described in one word “double.” A popular flavor of chewing gum brought us the tagline, “double your pleasure, double your fun,” but it is the LTO, generations 1 through 4, that offers the greatest statement for businesses looking for affordable high capacity storage solutions. This is because each generation that has unveiled itself has doubled its storage capacity from the previous generation. The most important aspect though, is that, though the storage capacity continues to increase with each subsequent release, the size of the drive remains essentially the same. If the above descriptions have not sufficiently informed you of the many benefits of using linear tape open drives at least as a supplement to your business’s storage and backup solution, browse through the list below for a more comprehensive understanding of the many features of LTO drives. From the first generation HP 215 LTO Ultrium tape drive with a transfer rate of up to 15MB/second to the latest HP 1760 LTO4 that offers a transfer rate of nearly 160MB/second (576GB/hour), linear tape open drives always provide lightning fast transfer speeds for the best price. Couple this with a maximum rewind time of only 98 seconds and an average tape seek/filemark search time of only 75 seconds, and you’re left with less time dealing with your data backup and more time to focus on those things that really make your business succeed. Most lto tape drives are good for anywhere from 15 to 30 years worth of archival. Obviously this will depend on the number of cartridge loads and unloads as well as the number of file passes you require from your system. On average, linear tape open drives can handle at least 5000 cartridge loads/unloads and approximately 260 full file passes. A file pass refers to the amount of data written to fill a whole tape. These numbers are simply averages and will very depending on the generation of lto drive and the extent of wear and tear placed upon it by the user. 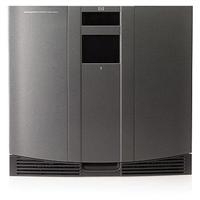 The third generation LTO-3 tape drives brought the write once read many (WORM) capability to the table for tape drives in 2005. WORM prevents data that has already been written from being re-written, reformatted, or erased. This is particularly useful for keeping legal records and records involved in IT transformation in the health care industry. It is well known that using traditional cleaning cartridges for tape drives can cause damage and limit the lifespan of the drive. LTO limits the potency of this problem with its internal cleaning mechanism that takes care of cleaning tasks based on time and error rate criteria. This helps prevent the drive from using the cleaning tape if it is not needed. The list goes on and on with ways LTO drives can provide an inexpensive yet quality way of storing data. If you would like to learn more about how an lto system can help your business, please fill out any of our forms with your inquiry. We will respond to your questions and can offer you price quotes on a system that will work best for your company. You can also check out the product details of some of our lto systems on our website at www.cpuinc.com/lto-tape-drives/.